To save lives and prevent injuries by making road transport safer, greener and more sustainable for future generations. We are global experts in the field of road safety. All our work is guided by real-life experience and expertise. We do not simply identify problems and leave it at that. Each of our road safety projects makes a positive and sustainable change. We believe that successful road safety policies require a concerted effort across boundaries. We use and build local capacity to ensure our work is more effective and sustainable. This goal is at the centre of everything we do. The Eastern Alliance for Safe and Sustainable Transport (EASST) is an independent UK-registered charity whose mission is to save lives and prevent injuries by making road transport safer, greener and more sustainable for future generations. Road crashes are the leading cause of death for young people in every world region, and globally account for more fatalities than diseases such as malaria. While, air pollution, a consequence of heavy congestion and a reliance on motorised transport, leads to millions of premature deaths every year. 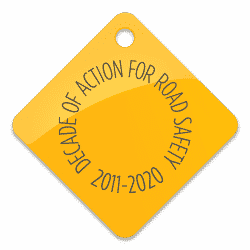 As well as saving lives, safe roads have a vital role to play in economic development, allowing the safe movement of people and vehicles required for investments, trade, and tourism thereby providing a better quality of life. Through a vibrant network of local road safety NGOs we concentrate our efforts in Eastern Europe, the Caucasus and Central Asia where road deaths are particularly high and vehicle fleets are growing. These factors together pose an increasingly unbearable burden on health and social services, while unsafe road transport is inhibiting both economic and social development. EASST is a member of the UN Road Safety Collaboration and has consultative status with the Economic & Social Council of the United Nations enabling us to actively engage with ECOSOC and its subsidiary bodies.